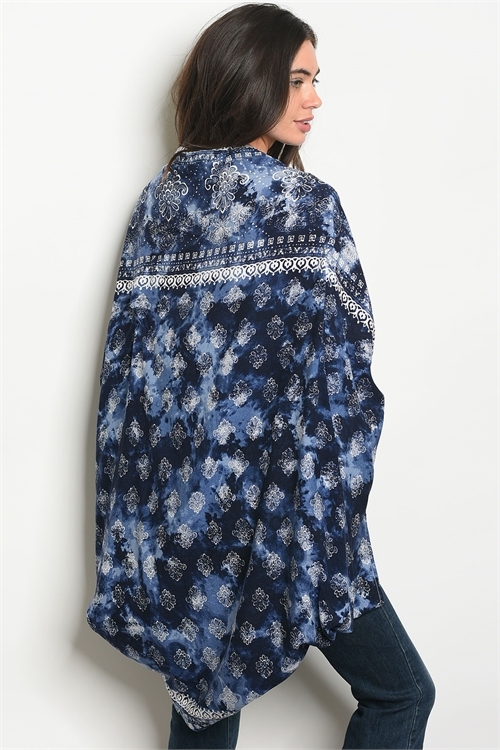 This beautiful printed kimono is such a stylish way to add some wonders to your daily style! 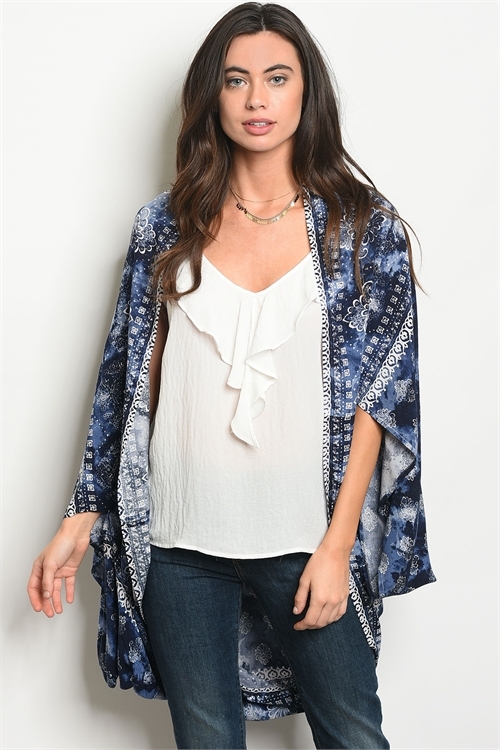 Featuring a gorgeous print in sky blue, navy, white and black, this breezy kimono is easy to pair with so many tops! From stylish layering camis to relaxed tees, you can throw it on over so many pieces! This kimono also features long dolman sleeve and open front.